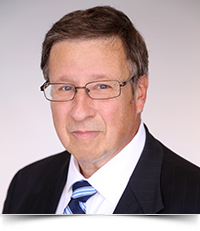 Craig A. Doll, Of Counsel in the Firm’s Philadelphia office, brings more than 40 years of experience and knowledge to his representation of clients in the transportation and utility industries. Mr. Doll concentrates his practice in transportation litigation on behalf of limousine, household goods and property carriers, paratransit companies, airport transfer carriers, and taxicab companies before the Pennsylvania Public Utility Commission and the Commonwealth’s Courts. He also represents public utilities in proceedings before the Pennsylvania Public Utility Commission, the Public Service Commission of Maryland, Delaware, New Jersey and the appellate courts of the Commonwealth of Pennsylvania. Mr. Doll has represented both large and small investor-owned utilities in various matters before the Pennsylvania Public Utility Commission. Of particular note, Mr. Doll served as local counsel to a national telecommunications corporation having participated as part of their rate case team in their initial application for the right to do business in the Commonwealth. Mr. Doll was also an active participant in the litigation resulting in the restructuring of the electric and natural gas industries in Pennsylvania. Shortly after graduating from Suffolk University School of Law, Mr. Doll served as an Executive Assistant to Chairman Carter and as the Director of the Office of Special Assistants with the Pennsylvania Public Utility Commission. During his almost 10 years with the PUC, he was involved in the presentation of advisory opinions to the Commissioners and was responsible for drafting Commission opinions. As Director, he was tasked with supervisory responsibility for 10 employees as well as arguing various cases before the Commonwealth Court and Pennsylvania Supreme Court.